My blog really took off as a result of the popularity of my post "Online Shopping on a Budget." 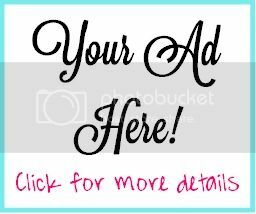 This post is basically a comprehensive list of all the stores that offer some of the most affordable and fashionable options that the Internet has to offer. 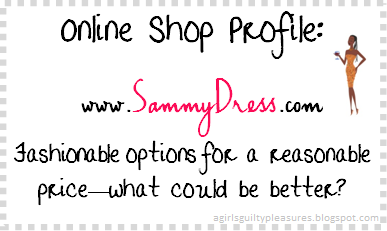 One of the most inexpensive shops on there is called SammyDress, a wholesale clothing company from China. Being the cheapest site as well as being the only Chinese site on my list has brought tons of speculation and doubt from my readers as to whether or not SammyDress is a reliable shop to buy from. I will admit, I also questioned how some of the adorable clothes could be so inexpensive. I recently have been in contact with people from SammyDress, and they offered to send me clothing as a means of reviewing the quality if their product as well as the legitimacy of their website. Though they sent me some items, I have been contacted by some of my readers concerning missing orders and lack of response from Sammy Dress. I, too, tried to contact Sammy Dress on their behalf with the personal e-mail I was given to promote them, and received no response. Some people have had positive experiences, but please shop at your own risk. I picked out a few items and received them in a timely manner. It is important to be safe with what you pick, especially since shipping items back to China isn't exactly an option for most of us. What I mean by safe is picking items that you can see all of the details of. For example, some of the items I picked looked adorable on the model on the site, but when I received them, they had some back details or sleeve details that were not evident in the picture. So look carefully at the photo and make sure you have a good idea what the item looks like! For many of the clothes on the website, the option for size is not there or it says "one size." I was nervous that this generic size would be too small on me, a size medium. When I received my items, all of my items fit nicely, none too tight or too loose. One thing that I definitely suggest when ordering from SammyDress: don't buy something that is intended for an upcoming occasion or that you need very soon. Though I received my items in a timely manner, I also had direct communication with the company. You will receive your items, but do not risk buying something for an occasion that is within a few weeks of placing your order, because since this shop is based in China, there are various steps they must go through in order to deliver products internationally. If you want an item sooner rather than later, choose the clothes that have the "ships in 24 hours" option, because that means those items are more readily available. Also, if you contact them, be aware that they are from China, so there is a language barrier, but they do speak enough English to understand your requests. This sweater has gotten so many compliments and is so cozy! Of the 8-10 items I ordered, there were some of good quality and there were some that could have been better but were really fine in general. The beauty of the cheap prices is that you can buy various items and chances are there will be a few that you really like. My two favorite items from SammyDress have gotten me more compliments than most of my other clothes. did you order any bags from the website? Were they as they looked in the photos? I didn't buy any bags, but all of the shirts that I requested looked the same as the image (and they didn't give me retrictions, so I picked whatever I wanted). So I assume the bags will be the same too! Do you wear a medium in US sizes? I saw so many cute clothes on that site, but I'm very worried that nothing will fit. Yes! I wear a Medium in US sizes. I was really worried about that too, but it turns out the "one size" truly does fit an average sized girl, as all the clothes I received fit me quite nicely. I love buying things from there. But I buy things that I make sure I'm not waiting for. Because the shipping literally takes two months! And I always wait for free shipping on some items, and others, I just tell myself: this shirt is $4, and then $6 shipping. So I'm buying it for $10, which is worth it, usually. And when it arrives, it's a total surprise! Because I forget I ordered it! So far I bought a blue body on dress that was way too tight (but I'm a size medium-large so that's understandable). And a cute Eiffel Tower Watch which came perfectly the way I wanted. And now waiting for two mini dresses. And I think I'll buy a bag sometime soon. It may arrive sooner, but there is no guarantee. I would not order from this store if you want it very soon --it comes from China and does take quite some time. Expedite shipping did work for me,they sent my package via DHL, it arrived in 3 days, the consuming part was the processing time before they send it out but the total waiting time was 2 weeks (I ordered the 08/06 and it arrived today). Also one of my items was out of stock and I had to change it, they will not notify you this, instead I contacted them after a week and they let me know the issue.